A little girl named Brooklyn has a very surprising and unexpected birthday wish. 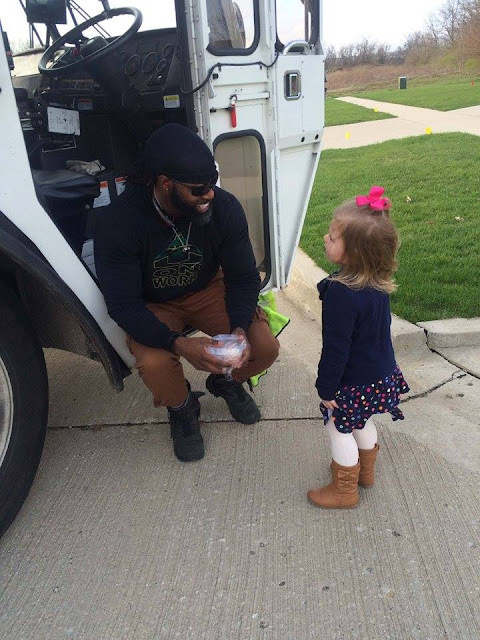 Rather than ask for toys to play with, this little girl has asked to meet the local garbage man. The reason why is absolutely touching. It started with waving from the window, then we had to try and be outside to wave, and when we missed the truck driving by the house, I’d drive around the neighborhood to find the garbage truck and wave on our way out the door in the mornings. 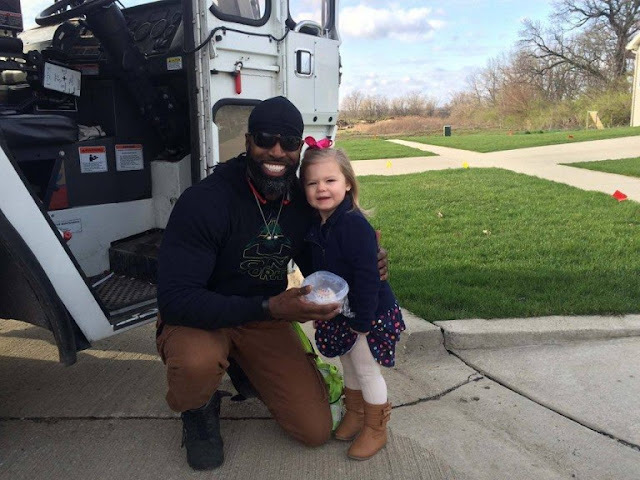 Every Thursday, my heart is full when I see the joy that our amazing garbage man brings Brooklyn when he honks and waves at her with a BIG smile. 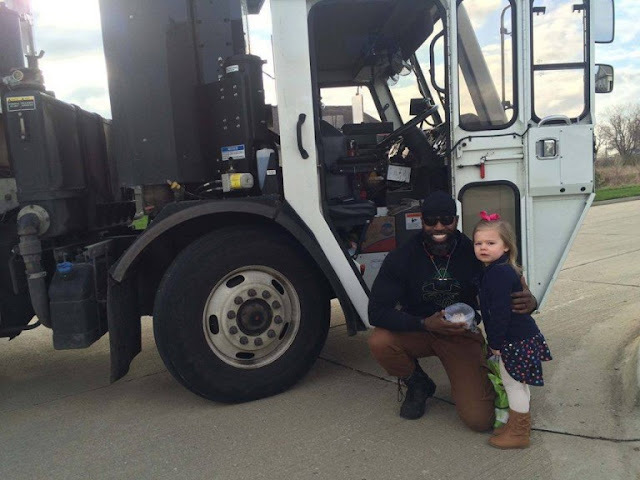 For Brooklyn’s birthday – which was on a Thursday – Brooklyn and her mother decided to finally meet the garbage man. 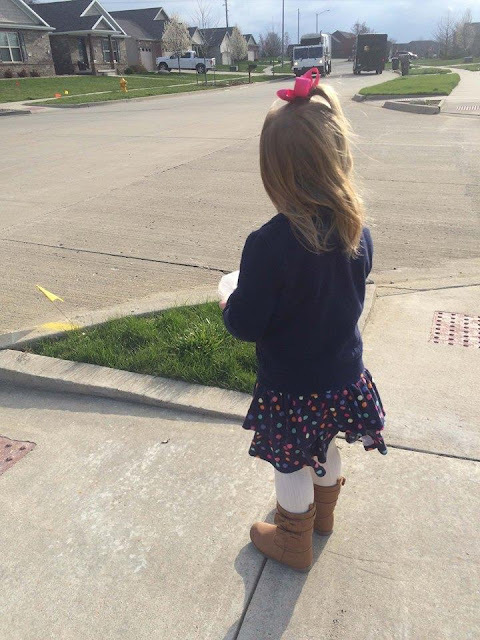 Holding a cupcake in hand, the little girl patiently waited for Delvar’s arrival. 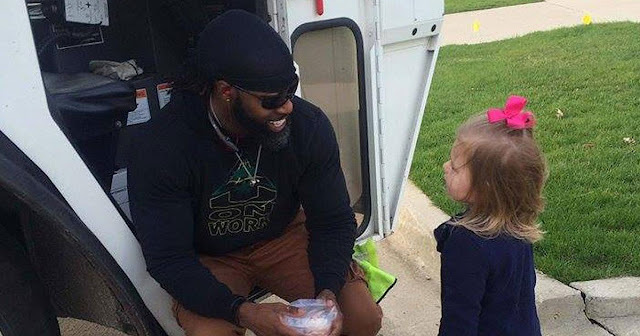 When he finally reached their house, Brooklyn’s mother kindly thanked him for his friendliness and told him how much he meant to her daughter. To her surprise, Delvar admitted that the feeling was mutual. In fact, he looked forward to seeing Brooklyn every Thursday just as much as she looked forward to seeing him! He said that he has a meeting every Thursday morning and always tries to get out of there in a hurry so that he can make sure to see us every week. What a beautiful story! It’s awesome to see Brooklyn’s birthday wish come true.